Once again tragedy strikes in 2014 with the untimely and shocking suicide of Robin Williams following on the heels of actor Philip Seymour Hoffman and designer L’Wren Scott. The news and social media feeds have been consumed with announcements, theories, well wishes, all which unsettle the emotional state of the public. Suicide hotlines all over the country have had record number of calls, hopefully by those who see that making the call for help is the better available option. 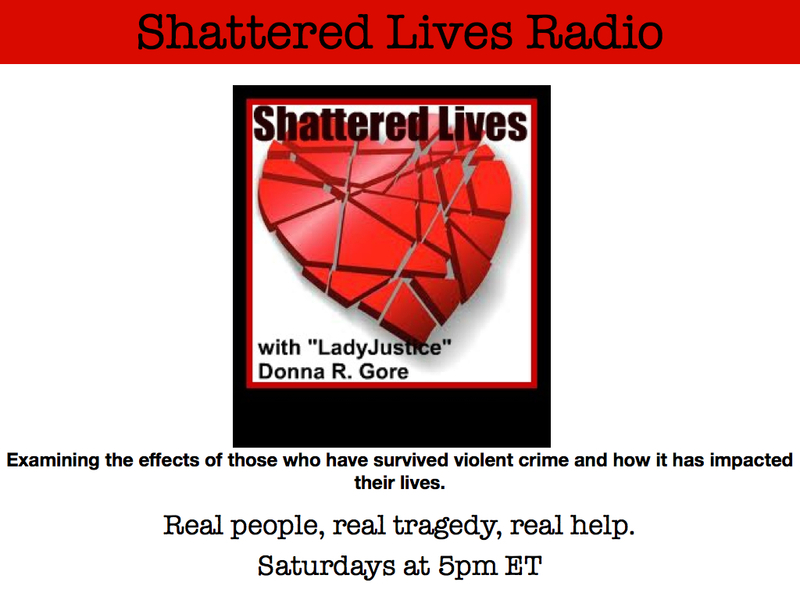 Shattered Lives Radio offers not only offers condolences to those left behind surviving in the aftermath, but solid information on how to effectively deal with the trauma. Host Donna R. Gore (“LadyJustice”) has frequently invited grief counselor Duane Bowers to the show to provide listeners with expert advice and tips to ease the pain of handling grief and ways to heal individually. Unlike the theme song to M.A.S.H. suicide is painful, especially to those left behind feeling like they’ve been sucker punched and left with questions that take years of searching for answers, and finding none. Amy Susan Crohn, a survivor of her brother Steve Crohn’s suicide in August, 2013, bravely appears on the show to discuss the myriad of emotions as she was left to manage his passing. New York Magazine gives the best description of the full, but often turbulent life of Steve Crohn, a man of many huge talents and best known as “The Man Who Was Immune to AIDS.” Although, like many suicide victims, he had his ups and downs, those closest to him didn’t see it coming. Take the opportunity to listen to all of the podcasts of Shattered Lives Radio featuring Duane Bowers and his expertise in working with survivors of traumatic death, missing persons, and suicide.